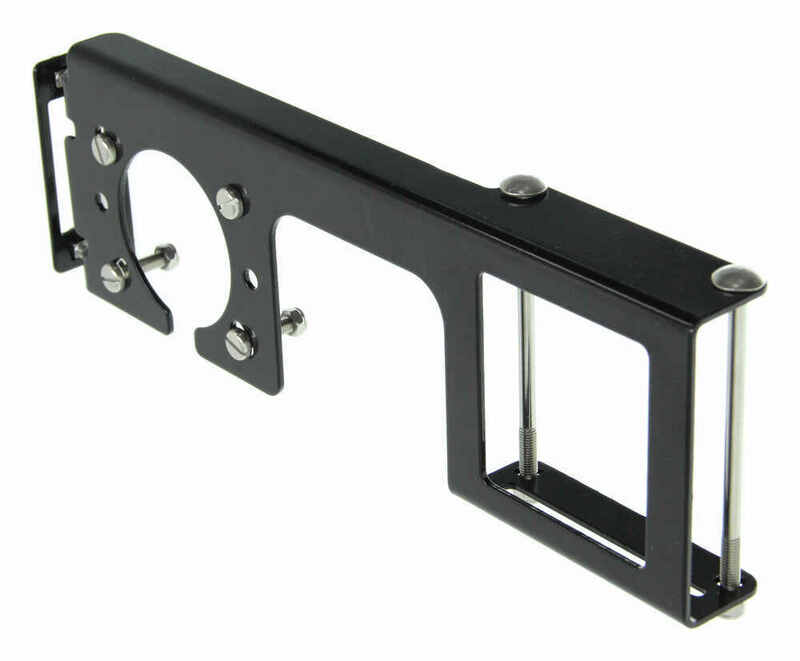 Attach this electrical bracket to your 2" trailer hitch to make mounting your trailer connectors (sold separately) fast and easy. Use with a 6-pole or 7-pole round connector and a 4-way or 5-way flat connector. No drilling required. 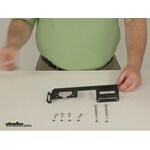 Call 800-298-8924 to order Curt accessories and parts part number C58000 or order online at etrailer.com. Free expert support on all Curt products. 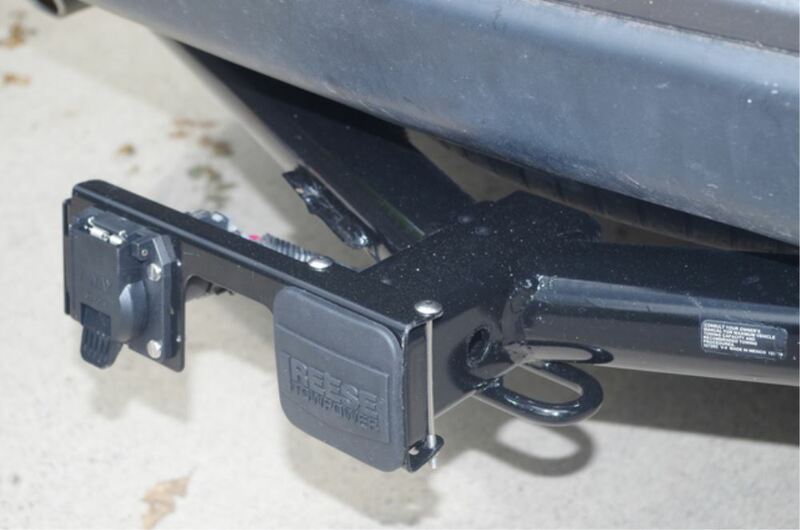 Guaranteed Lowest Price and Fastest Shipping for Curt Easy Mount Bracket for 4- or 5-Way Flat and 6- or 7-Way Trailer Connectors - 2" Hitch. Accessories and Parts reviews from real customers. Today were going to review part number C58000. 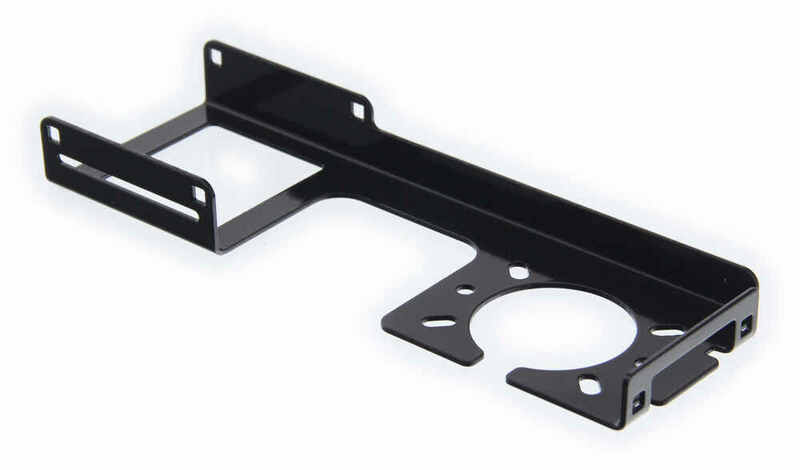 This is the Curt Easy Mount Electrical Bracket. 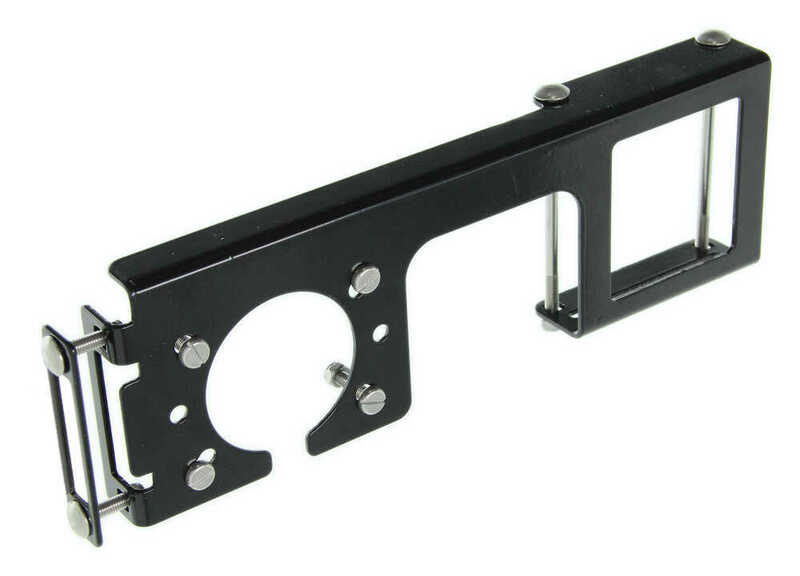 Basically this bracket would mount on to a two inch trailer hitch receiver. 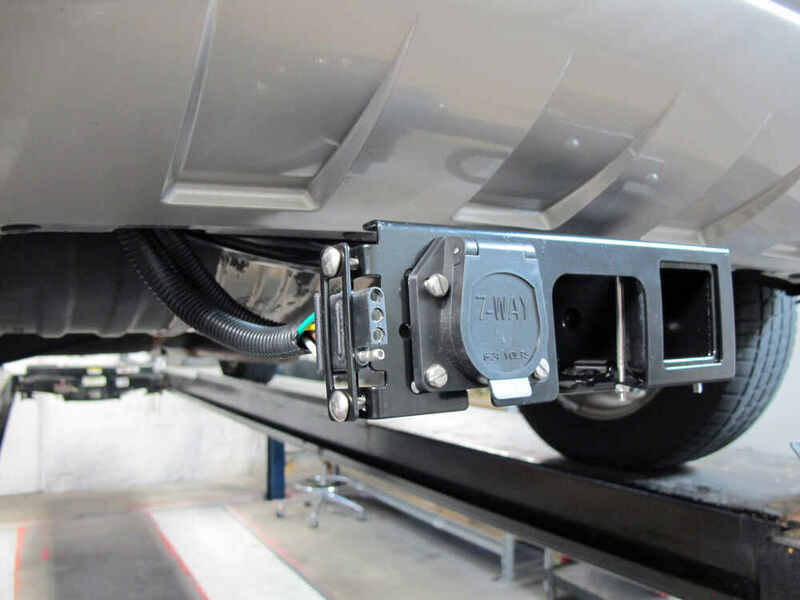 Right here, it would mount around the collar on the receiver and it will allow you to attach a six or seven-way trailer connector right here. Over here on the very end, you can install a four or five flat way plug in there. 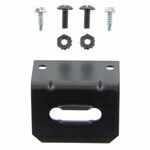 This is for use on two inch hitch receivers. 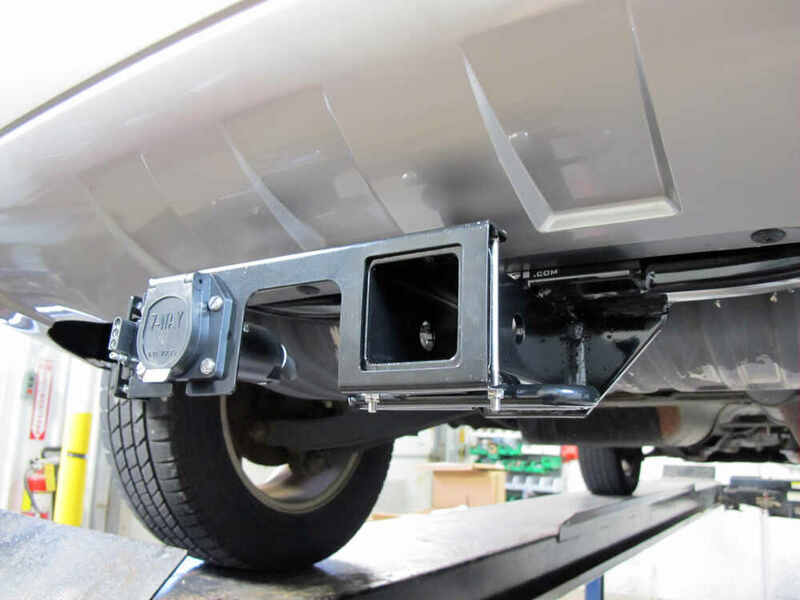 It is easy to install, requires no drilling or clamps. 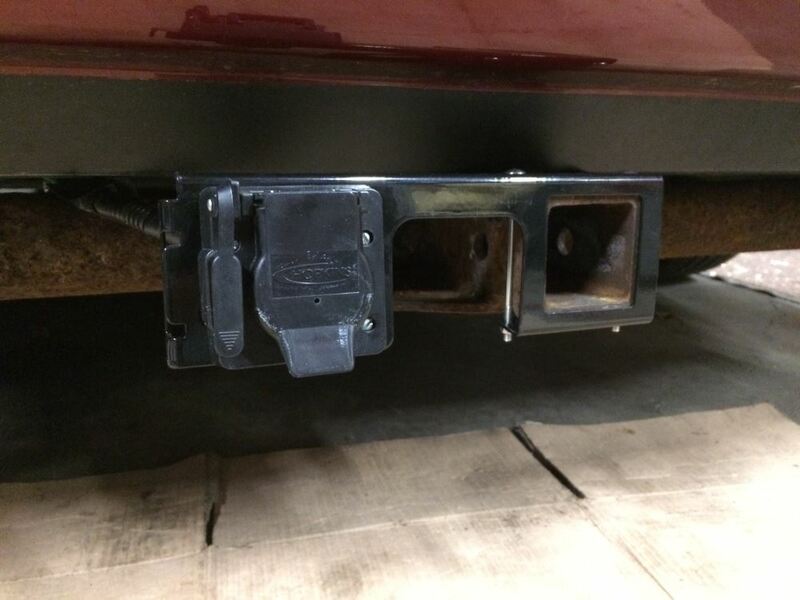 Other nice feature on this bracket has a notch design opening here which will allow access to your pin and clip when you install this onto your hitch. Going to give you an example here, it does come with the stainless steel fasteners and nuts. 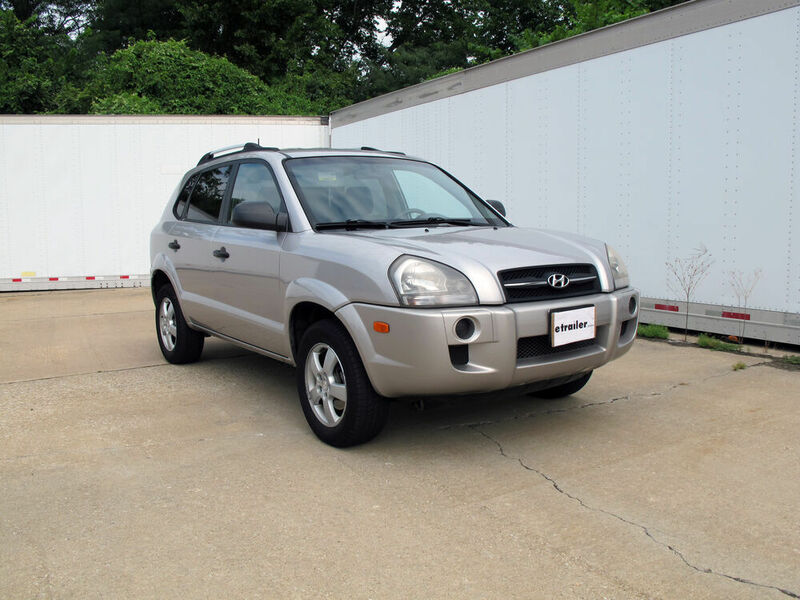 Whats nice about that is the stainless steel will prevent rust and corrosion. Basically, if you take one of the long carriage bolts, put it through, well attach a nut right here on the bottom. 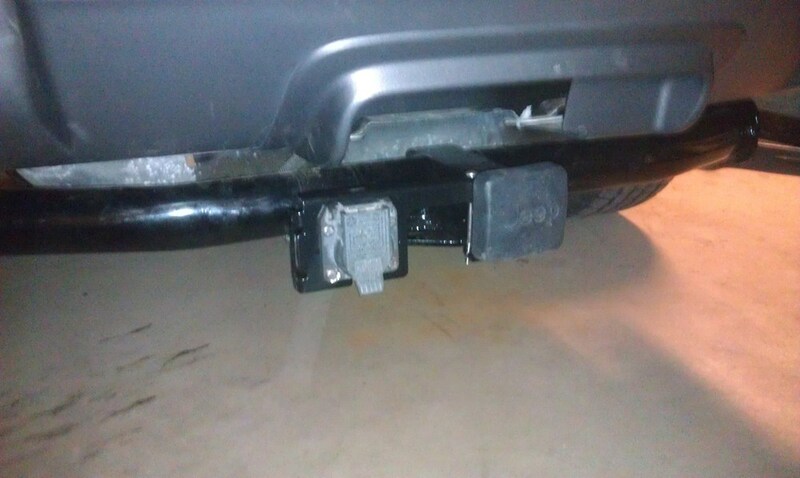 Then what Im going to show you, got an example here, to see how it will install onto your hitch. This would be like a normal hitch on your car. Has the collar around the opening so, basically, that one bolt you would just put around the collar, push it flush up against there, take your other long carriage bolt, slide it down through, there you go, and then take the nut put it on, tighten it down, tighten both these down and it would hold this bracket very securely onto your hitch opening. 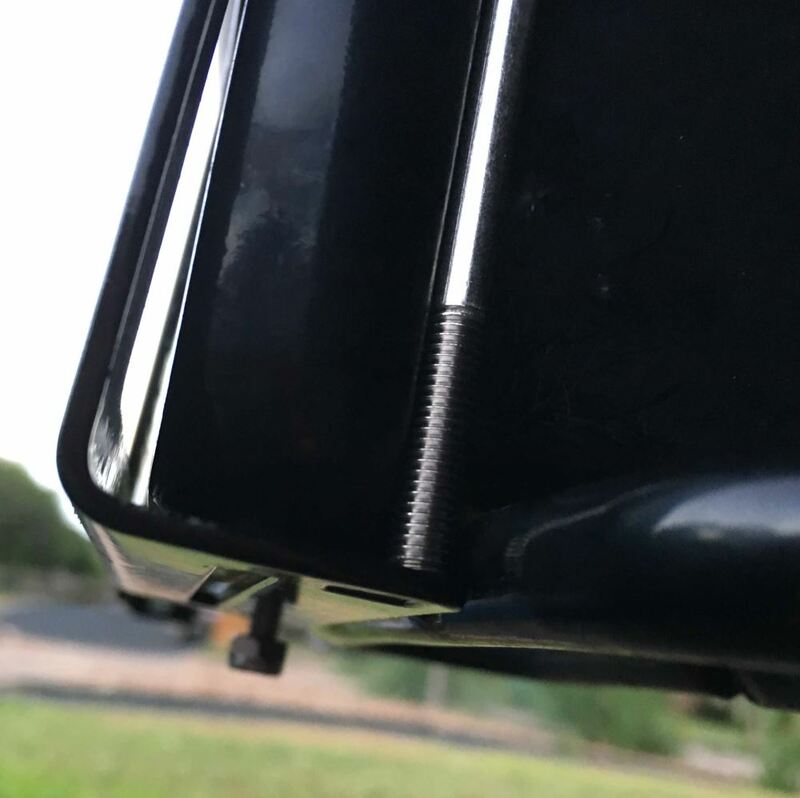 And, then as you see here, has the notched access area to where when you put like a pin and clip through your hitch, youll have access to put the clip right onto the pin. Right here youll notice has the four holes and a big large hole. What youll want to do is if you have a seven-way connector, heres an example here of a seven-way connector. That would just install, line the holes up, take these other stainless steel bolts and nuts, put it through, put the nut on the back, tighten it down and do that to all four and that would hold your six or seven-way connector to your bracket. The very last feature is on the very end here. Youll see this sort of metal and bolts. Its like a clamp opening. 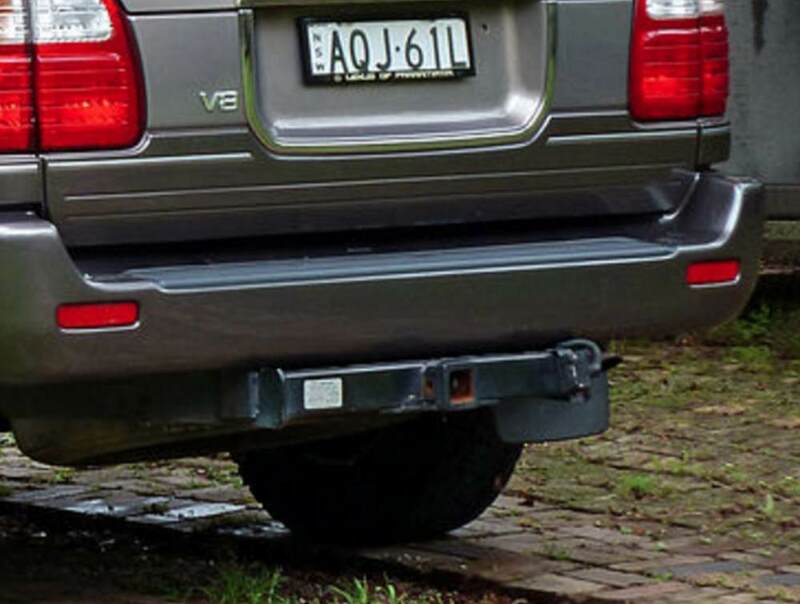 What youll want to do is if you have a four-way or five-way flat like this dangling maybe down from underneath the back of your car. You could just insert this in between that just like that, and then hold it together and then bolt this down and it would actually hold your four or five-way flat also on the bracket. Want to give you a few measurements. Let you know how long this item is. This item would be about ten inches long, and the height is about three and a quarter inches tall. That should do it for the review on part number C58000 the Curt Easy Mount Electrical Bracket. 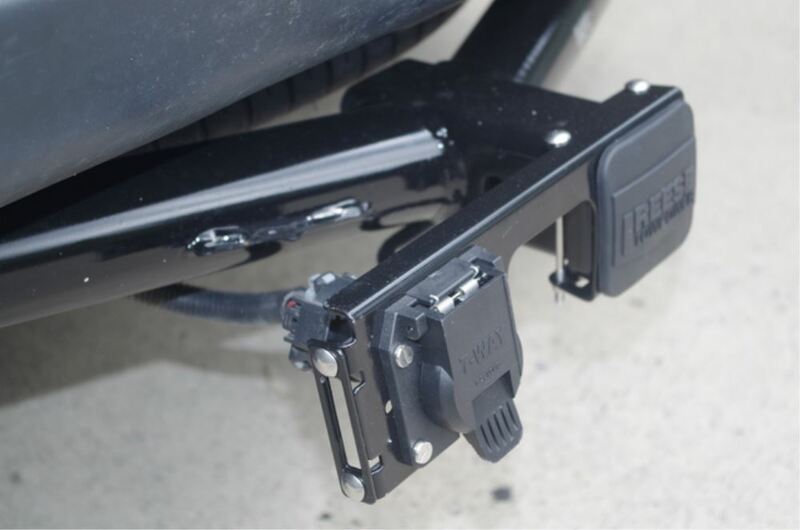 Order: RelevanceNewestRating - High to LowRating - Low to High Attach this electrical bracket to your 2" trailer hitch to make mounting your trailer connectors (sold separately) fast and easy. Use with a 6-pole or 7-pole round connector and a 4-way or 5-way flat connector. No drilling required. $8.91 for the 4 flat. Still pleased with this product. Item still looks nice a yr later, most pleased! 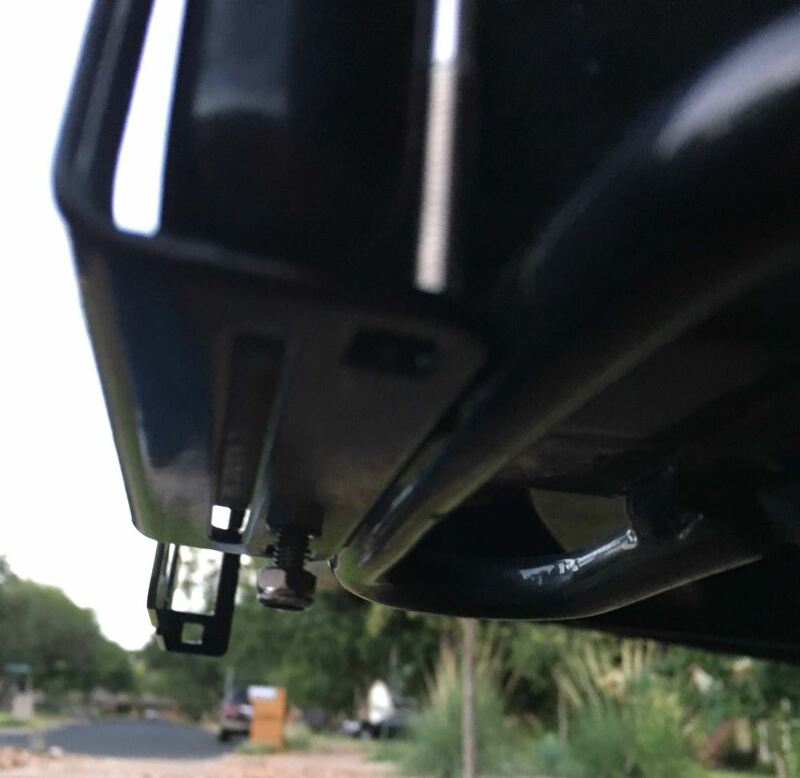 The B&W trailer hitch # BWHDRH25182 does not come with the mounting bracket for a 7-Way trailer connector. 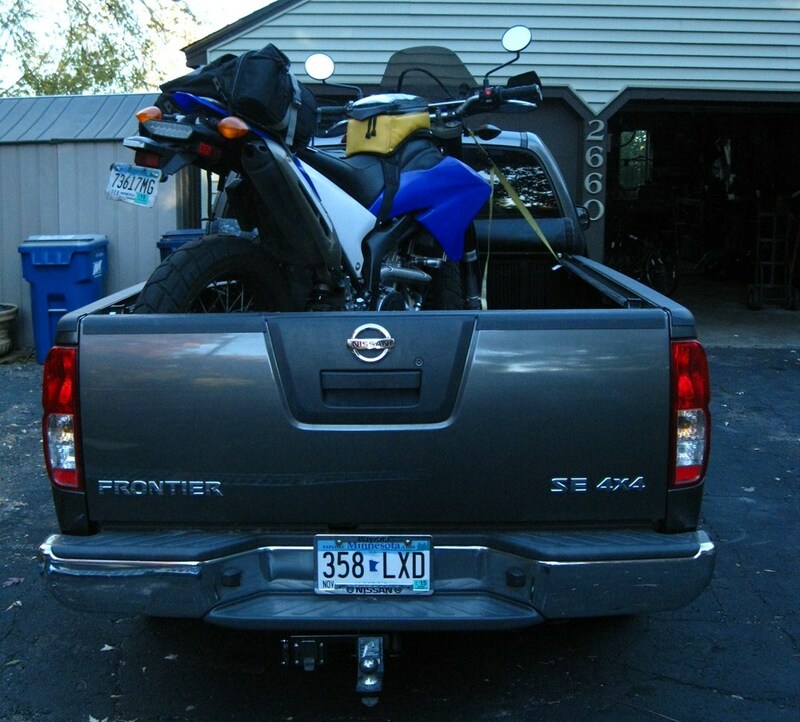 A couple of cool 7-Way brackets that I like are the Curt Easy Mount # C58000 and the Draw-Tite box, # 18159. 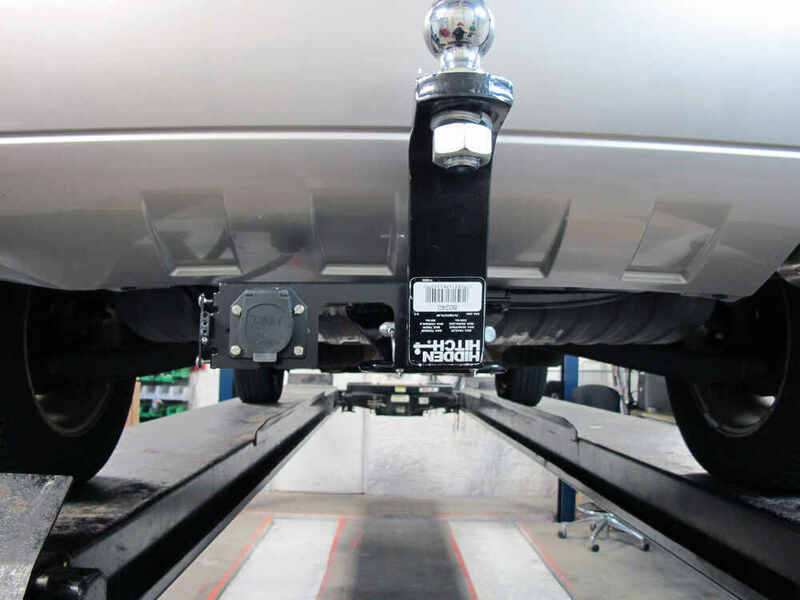 Either one will work with the B&W hitch on your 2007 Chevy Silverado. I have included links to videos on both products for you. If you look at the photo I provided, you can see the relevant dimensions. 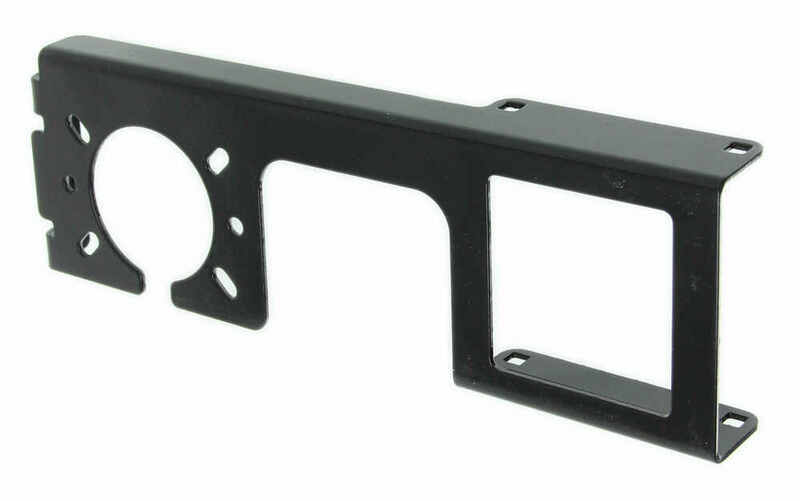 If you can measure 5/8 inches above the top of your receiver opening and 6-3/4 inches to the left of the inside of the receiver opening without obstruction, the Easy Mount Bracket should work just fine. There are ways for you to mount your two connectors onto the Draw-Tite # 75280. 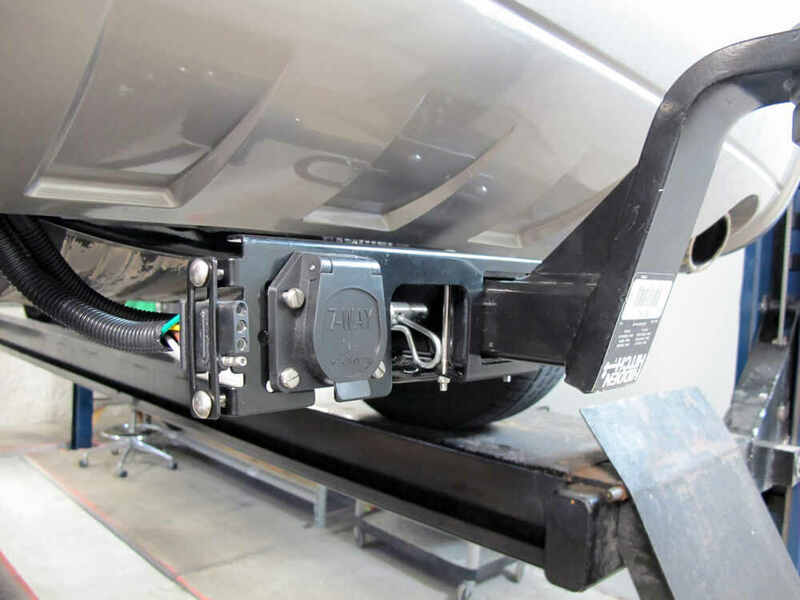 I recommend taking a look at the Curt Easy Mount Bracket # C58000, which uses your hitch as a mounting point for both of your connectors. I have added a link to a video review and an install of this product so you can see how it works. 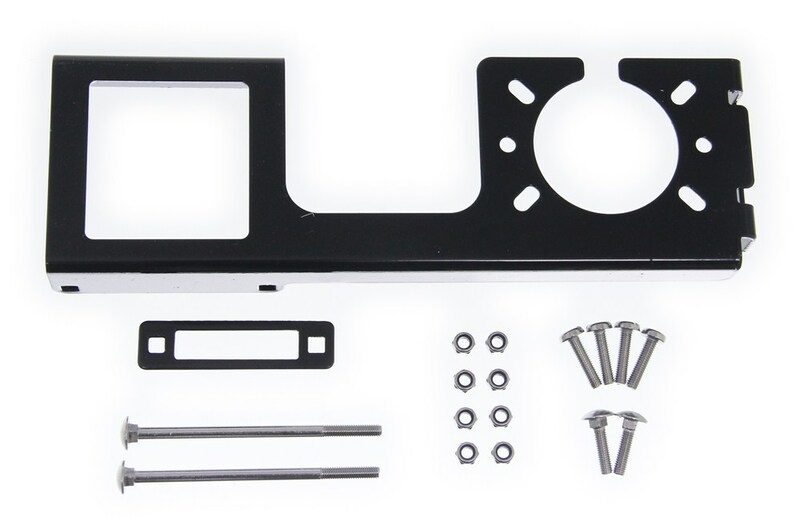 For the Universal Wiring Harness w/ ModuLite and Brake Controller Harness - 7-Way Trailer Connector # 22550, I recommend the Mounting Bracket and Installation Hardware # PK12711U. You may also be interested in the No-Drill Mount Bracket, Short # 18140 or long # C57202. Another option is the bracket that attaches to a 2 inch receiver # C58000 if you prefer that style. 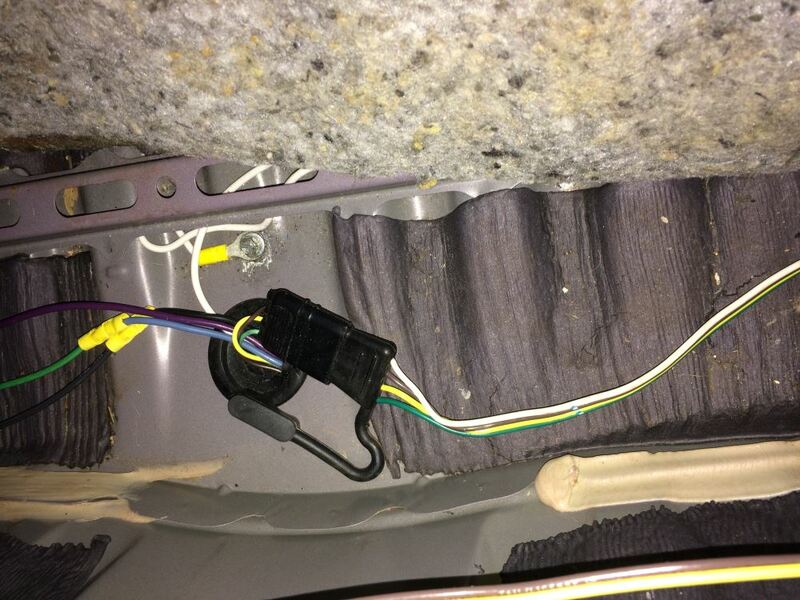 The 7-Way to 7-Way LED Trailer Light Adapter, # C57003, can be mounted to any flat surface under your 2005 Porsche Cayenne using the mounting holes on the top of the adapter. Since the 7-Way to 7-Way, # C57003, has the mounting bracket molded to the top, you would not be able to use this adapter with the Curt Easy Mount Bracket, # C58000. 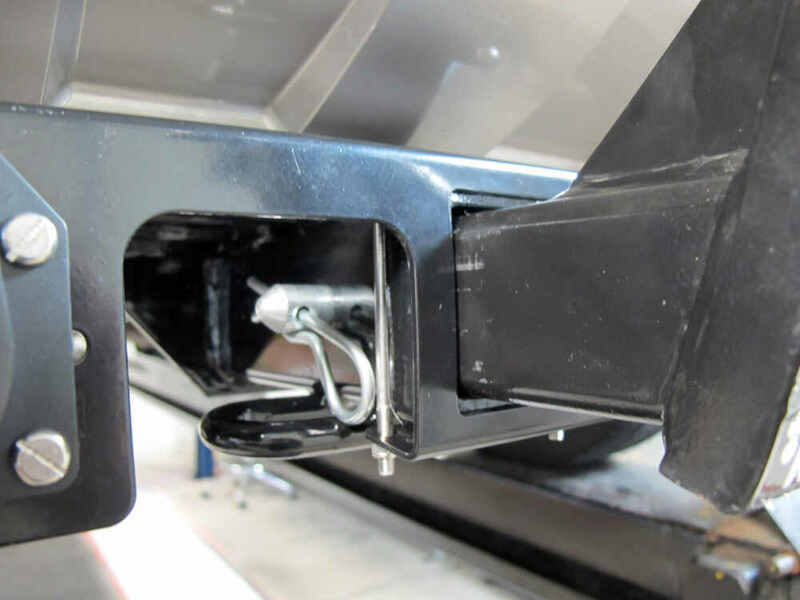 Due to how tight your hitch opening sits to the bumper of your 2011 Chrysler Town and Country I have a solution for you, but the Curt Bracket part # C58000 would not be it. Instead I would recommend the 7-Way Trailer Connector Mounting Box # 18159. 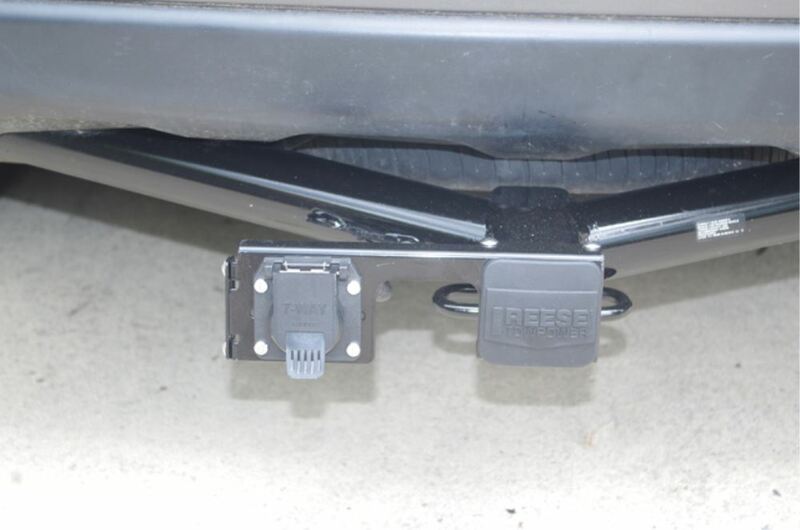 This will strap around the cross beam of the hitch and will provide an excellent mounting bracket for your 7-way. You are correct. 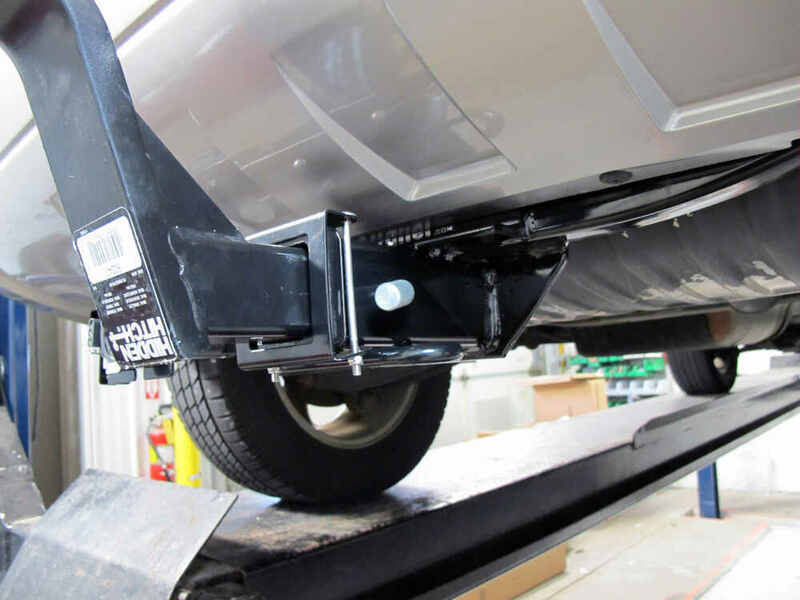 The Curt Easy Mount bracket # C58000 would not allow you to also use an anti-rattle device such as # RM-061 that has to clamp around the hitch receiver. You could go with an alternative anti-rattle device such as # 63232. Or a different mounting bracket for a 7-Way such as # 18159. 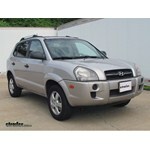 I have linked video reviews on the anti-rattle device and the mounting bracket for you.